http://www.americanrifleman.org/Webconte...p100_1.jpg Ruger GP100 Americam Rifleman Gun Of The Month. I would REALLY like to get one of these! 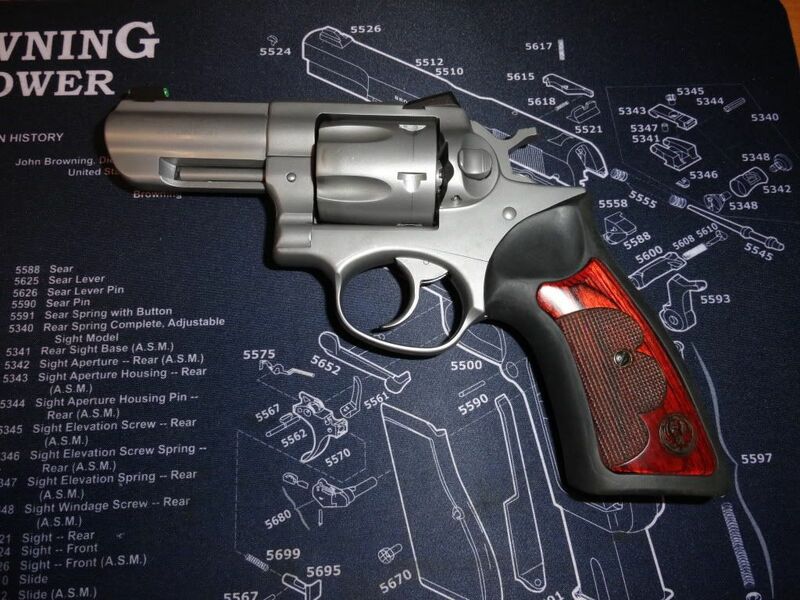 das;19322 Wrote: http://www.americanrifleman.org/Webconte...p100_1.jpg Ruger GP100 Americam Rifleman Gun Of The Month. I would REALLY like to get one of these! Not a bad choice. I've wanted one for quite a while. chez323, proud to be a member of pa2a.org since Oct 2012. Worth ever penny. I absolutely love mine. Yessir! The GP 100 has a well-earned reputation as being a tough and accurate revolver. But, new out of the box don't expect the greatest trigger pull! But the fix for that is relatively easy and includes, cleaning up the trigger's window, polishing the engaging surfaces (note polish only don't reshape!) and a spring kit will do the job. Brick;21572 Wrote: Yessir! The GP 100 has a well-earned reputation as being a tough and accurate revolver. Do you have any link(s) for instructions to do what you mentioned? I have a GP 100 and would like to fix that trigger pull. Thanks in advance. LisaA;21771 Wrote: Do you have any link(s) for instructions to do what you mentioned? I have a GP 100 and would like to fix that trigger pull. Thanks in advance. Just do a Google, Yahoo or Bing search for GP 100 trigger job and you'll get plenty of hits. Watch several and pick what you think best. Or if you have bad hands and don't like to do fine work watch anyhow so you know what's what and take it to a gunsmith. Found very good instructions for doing a trigger job on the GP 100. The description is for the SP 101, but the same instructions apply to the GP 100.